World of Tanks is back and in the Porting Kit! On April 30, 2016 / Free games, Game Port, Mac Action Games, Portingkit / Comments Off on World of Tanks is back and in the Porting Kit! On April 25, 2016 / Game Port, Mac Action Games, Mac RPG Games, Portingkit / Comments Off on Sea Dogs for Mac! X-COM Apocalypse & X-COM Terror of the Deep for Mac! On April 14, 2016 / Game Port, GOG.com Games, Mac Strategy Games / Comments Off on X-COM Apocalypse & X-COM Terror of the Deep for Mac! Both X-COM Apocalypse & X-COM Terror of the Deep are added to Porting Kit! 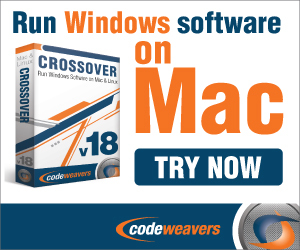 Both golden oldies now available for Mac! Have fun! The war continues… X-COM: UFO Defense brought you to a galactic battlefield. X-COM: Terror from the Deep brings the alien terror into a totally new dimension. There’s something evil in the city tonight… Earth has been ravaged by human excess, petty conflict, and alien invasion. The world’s population has been herded into huge cities, the first of which was Mega Primus. 2084: A Utopia shattered, social collapse and civil unrest reigns in Mega Primus. X-Com: UFO Defense has been added to Porting Kit! This golden oldie works great, also because its a DOS port. The game has been released last week on GOG.com. Below a game-play trailer to catch up some memories of the game. Enjoy! You are in control of X-COM: an organization formed by the world’s governments to fight the ever-increasing alien menace.